I am pictured here with my father (left) Chief Alufopejo Awo (Chief Baba Neil Clarke) and Baba #ChuckDavis (in the center). I am honored and humbled to have worked with such a legendary pioneer. 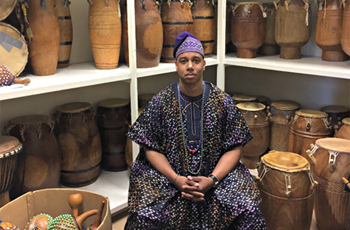 We lost a great teacher and leader in the drum and dance community on Sunday (May 14, 2017). 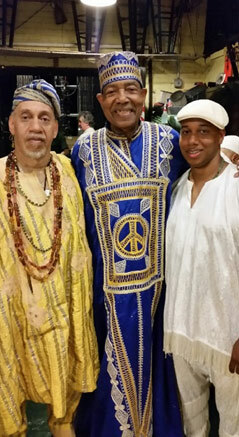 May we always honor Baba Chuck Davis in the work that we do for the planet, for the elders, for self, for everybody! “PEACE! LOVE! RESPECT for the Planet! PEACE! LOVE! RESPECT! for the Elders! PEACE! LOVE! RESPECT! for Self! PEACE! LOVE! RESPECT! for EVERYBODY!” ~ Chuck Davis.